Ending the water crisis is not simple, and cannot be answered solely through technology. “An NGO came in and dug us a well, but it’s not really used because there’s no money to really keep it. Half of the village goes into the forest for water, while the rest of the people remain on taps, waiting for water that isn’t flowing”, explains one Chief. The Chief adds that electric pumps were installed to the water system with the expectation that his village would have the money to pay for its fuel. With the Chief’s community living below the poverty line, this expectation is cruel. Without fuel, the system eventually broke down and needed repair. The NGO who installed the system trained one person in the village to fix any breakages. However to the village’s misfortune, this individual had just passed away. The Chief continues his story in anger, explaining that the NGO was unresponsive to all calls for help. How could they have given such a life-saving gift and abandoned the village in their greatest time of need? 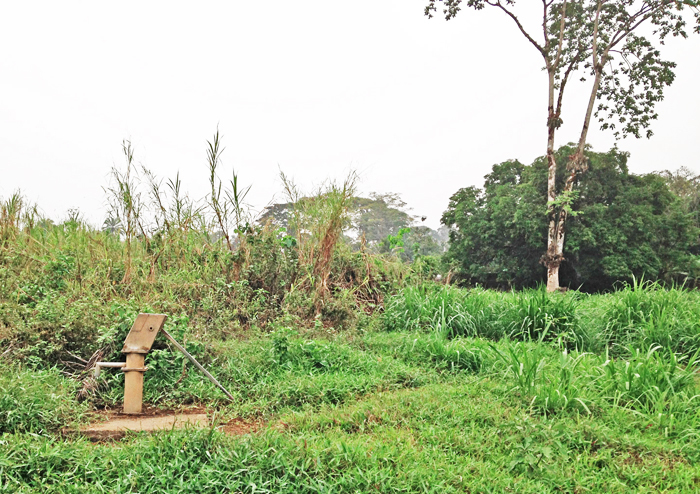 As swiftly as that, in less than 2 years after this water system was installed, clean water was gone. Unfortunately in Cameroon, and developing communities worldwide, stories of broken water projects are very common. At any given time, 40% of water points are not functioning in the developing world. Non-functioning hand pumps, tap stands, and boreholes litter many communities and stand as reminders of wasted money and embarrassment for those who fought to bring that water there. It is estimated that almost 800 million people on our planet live without safe drinking water. However, many speculate that if you went to every corner of the world and conducted a proper survey, that the true number of those without safe drinking water can be as high as 4 billion. The water crisis is even larger when you account for the number of failed water projects that exist in the developing world. In Sub-Saharan Africa alone, it is estimated that in the past 20 years, failed hand pumps represent up to $1.5 billion in wasted investments. These failures not only represent waste, but also millions of people who have lost clean water and the lives they have built around it. The mother who set aside her savings to send her children to secondary school must now use that money for medicine to treat waterborne diseases. Farmers who used to grow their crops in clean water are now earning less due to decreased crop quality. These losses create a significant, memorable mark on people that is difficult to recover from. Ending the water crisis is not simple, and cannot be answered solely through an incredible technology or throwing a lot of money at the problem (although it certainly helps). It’s the people behind that technology and the people managing that money who ultimately determine if clean water will flow or dry up. Reliable access to clean water requires TLC (tender loving care) - someone to clean out a system’s filters and replace its pipes. If the people behind a water system don’t fund its maintenance, its TLC, clean water is impossible anywhere. Even in your home or apartment, you or your landlord have a plumber and water company that keeps clean water flowing for you. Without them, you as well would be living with a broken water system. 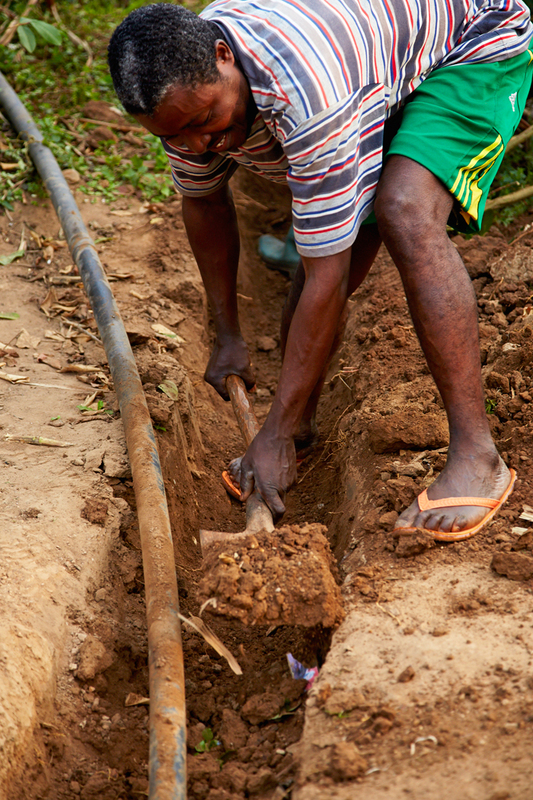 Studies have shown that human components such as local ownership and community involvement are major indicators of successful, functioning water systems in the developing world. Through the work of Water Collective, we have come to find that the definition of “water crisis” is different for every community, with the answer lying in the community’s unique personality. Every community has a different frame of reference when it comes to water, and different dreams they want to see fulfilled with clean water in their lives. The job of an effective water organization is to use those frame of references to create a powerful learning environment around water management so that communities can fulfill the dreams they have around clean water. Strategizing around the personalities of different communities require asking and confronting the hard questions. How will a community’s past, failed water project affect the success of this water project? Will the village’s unpopular Chief hurt the Water Committee’s chances of maintaining its water? Is the gossip culture here going to stop people from showing up on community labor days? Addressing human concerns at the start of any water project will lead to a more meaningful relationship between communities and their water. It’ll prevent Water Committees from disbanding because a corrupt Chief decided to steal money from the community’s water fund. It’ll keep a community’s taps flowing because the community labor days taught everyone what to do when they saw a leaky pipe. And it’ll keep a water system from failing because someone thought to ask the Chief if his community could afford fuel for an electric-powered pump. The intricacies of each community should be championed, analyzed with a fine tooth comb, and designed around. Confronting and hashing out people’s relationship with their water pulls them closer together, collectively behind a unified voice. When a community decides to come together to support positive action and growth, anything is possible, including clean water that will flow for generations to come. After all, behind that technology are people drinking that water.